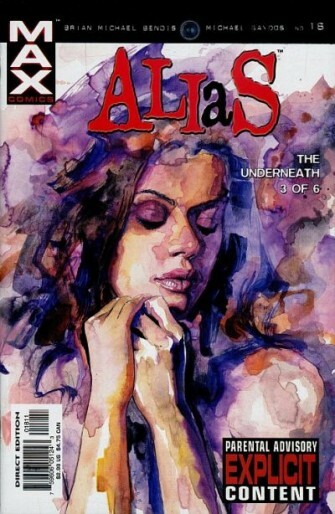 One of the new shows coming to Netflix in 2015 will be A.K.A Jessica Jones which is based on one of Marvels newer characters who first debuted in 2001 with Alias #1 which was written by Brian Michael Bendis. The show will follow Jessica Jones as she retires from being a super hero and moved to being a private investigator. When you put a former super hero taking a career as a private investigator in a TV show its a recipe for success. But when you make Melissa Rosenberg the screen writer of Twilight, writer of a few episodes of Dexter and writer of the 2002 Birds of Prey TV series you have the recipe for an amazing new comic TV show. Along with Daredevil Netflix will be bringing fans a lot of cool new shows in 2015. Netflix have cast Krysten Ritter (Beaking Bad) to play Jessica Jones who will also play a role in the Defenders series which will also air on Netflix in 2015. Although A.K.A Jessica Jones might have a tough time getting the initial viewers I think once it is released on Netflix it’s going to go viral and could be one of the most talked about live action comic incarnations of the year.